Don't Feel Like Reading Today? Here's A Quick Rundown Of The Greenworks Chainsaw Review. This Greenworks chainsaw is featured with a brushless motor design, chain break and trigger lock system. Model CS40LN210 comes with a battery charger and is guaranteed to make 100 cuts on a full battery charge. This chainsaw has a handle with rubberized grip for maximum performance and a hand guard for additional safety. If you are considering small-scale DIY projects, winter tree felling for survival, and normal chores, this Greenworks Cordless Chainsaw is the ideal product. I don’t know much about professional wood cutting, but I do have a strong dependency on lumber especially during the chilly winter season. Back in the days when I was in my mid-twenties, my wife and I had a 2 stroke gas powered saw. We didn’t know much about CCs, volts and all those tech jargons that come intertwined with today’s products, but as long as that saw lasted, we literally cut through endless logs. Needless to say, the vibrations damaged my tendons and I couldn’t use a gas powered saw anymore. I needed an alternative – and that too without any prior knowledge off cordless battery powered chainsaws. All I knew was that some models come with certain safety features that not only reduce vibrations, but also help to cut through any type of wood without any hassle or whatsoever. 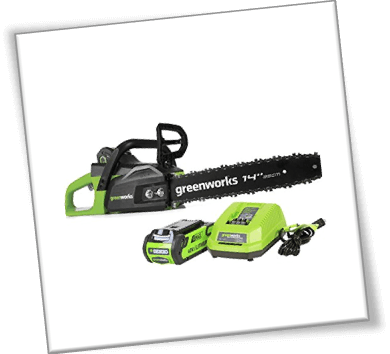 Stumbling upon Greenworks 14 Inch 40V Cordless Chainsaw was more of a pleasant surprise. I was skeptic at first, but I have to agree that this bad boy is much better than my old 1967 Ran McCulloch gas powered chainsaw. Bloody heck, this Greenworks chainsaw is only hindered by its battery output. Once you are past first 100 cuts, the chain will eventually grind to an abrupt stop. Anyhow, here’s my two bit review of Greenworks CS40L210 Cordless Chainsaw. Changing a chainsaw every other day is not a possibility. The problem with power tools is that once you have bought them, returns are hard, if not difficult. Also, one usually buys these tools from a long term use perspective – “changing” them or switching over to a better alternative is sometimes the last resort in most users’ mind. Greenworks CS40L210 comes as an affordable cordless chainsaw. I have to overlay a strong emphasis on the affordability factor because I know for a fact that Husqvarna 460 Rancher, Makita XCU03PT1 and other chainsaws are far more expensive than GreenWorks products. The company actually wanted to create a budget friendly tool with the core features of a traditional gas powered counterpart. However, this is not an ideal chainsaw for professionals. In fact, it is more of a “nod” to professionals; you know the kind of nod you see in Fight Club movie series. At least professionals recognized the Greenworks CS40L210 for its above average performance, and that’s what matters the most. The first thing to notice is the staggering 14-Inch bar size. GreenWorks could have gone for 16’’, but I hear that it is too much for the taste of average users. 14 inches are ideal for up-in-the-air sort of action whenever you are planning to trim down free hanging twigs or tree tops. It’s also ideal for waving the chainsaw over your head like a maniac! Apart from the bar size, the overall design and visual appeal is very user centric. I especially liked the Green and Black color combination as it kind of depicts on an environmental friendly vibe. Of course, the saw is environmental friendly because it has absolutely zero toxic fuel emission. Since you are powering the entire thing through a 40-volt battery, there’s no question about adding high octane fuel or whatever. Since Greenworks CS40L210 is a cordless chainsaw, it starts with the help of a button. The push button also lives to serve as an added safety mechanism. If the saw is left idle/ unattended for a while, it turns off and the button goes to locked position. You will have to restart all over. Since this is a brushless motor chainsaw, the maintenance factor is literally next to nothing. Of course, that does not mean that you are liberated to abuse this Greenworks chainsaw, or leave it unattended for several weeks. As long as you are doing minimum cleaning – i.e. 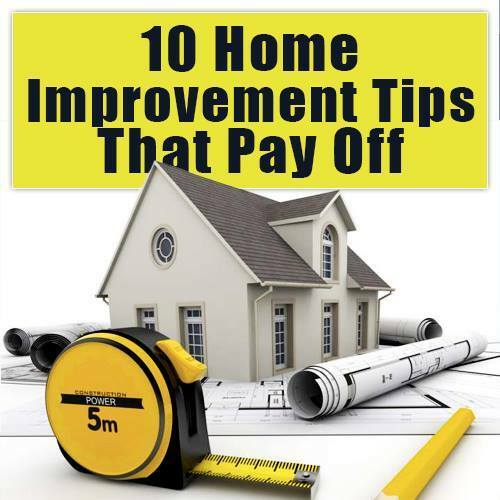 churning out sawdust deposits, oiling the chain and keeping the saw back in its original cover; it will last for 2 – 3 years without causing any major issues. The only thing that will need replacement is the 40V battery. If there’s one thing I learned about batteries, it’s their charging capacity which reduces over vigorous use. You should always charge your devices’ batteries once they are completely drained to 10 or 5%. Doesn’t matter if it is a chainsaw battery or a smartphone battery, the thing is that all batteries come with specific number of charge cycles. By repeatedly charging them, you are reducing the battery’s capacity to retain charge percentage over a longer duration of time. The good thing is that each brand new purchase of this Greenworks chainsaw comes with a battery charger. At least you won’t have to buy a new base unit to charge the batteries as long as they are being taken care of. ​Greenworks implemented an electronic commutated system that doesn’t lose its efficiency over time. Normally, the “brushes” on top of the motor make contact with the commutator, which is responsible for rotating the chain. In case of a brushless model, there are no brushes, which means low friction and cooler temperature. As a result, you are able to use your Greenworks chainsaw over a longer duration of time without having to take pauses in between a project. Greenworks CS40L210 Cordless Chainsaw is further coupled with an Oregon bar, which I talked about earlier. It is practically steel, but they infused it with the purest standards to make sure that both the bar and the chain can last beyond the product’s advertised timeline. ​Safety features hold crucial importance when it comes to cutting tools. I reviewed a couple of circular saws in my previous write-ups, and every time I emphasized on the importance of safety mechanism. Yes, you can buy cheaper chainsaws at the cost of an inferior safety system, but you’d be literally sending out a special invitation to serious accidents. Greenworks CS40L210 model comes with chain break and trigger lock system. I talked about it earlier in this review, so I am not going to stress upon it anymore. They also added a meshed handguard right behind the interior grip. You can see the handguard in the chainsaw images – it’s a small metallic patch right next to the inner side grip. It is positioned in such a way that your hand always sits behind the handguard. This way, whenever there are chunks of wood flying back at you, or pebbles etc., the hand guard breaks prevents the unwanted particles from making direct contact with your hand. You can, however, notch up the security and safety protocol by wearing gloves, headgear and proper goggles. ​I was expecting a learning curve with this Greenworks chainsaw. However, I was wrong – maybe because I have spent the past two decades on gas-powered chainsaws from Husqvarna. Anyhow, the On/Off button practically eliminates the need to pull on the string and pray for the engine to spurt to life. Coming to the actual cutting part, the saw weakly whines whenever you make contact with the cutting material. I was surprised to notice that the saw practically remains quiet as long as it is being used over an extensive range of activities. The bladed bucks rip through the outer core of the material easily, but you do need to exert pressure as you go deeper. Slicing through logs between 10’’ – 12’’ is practically effortless. However, as I moved on to pieces with greater diameter, your experience might be more dubious. Since freshly felled trees are mostly moist on the inside, the blade mostly slides over its axis without making much progress. The chainsaw has to be pushed against the wood to make sure that you are making progress, instead of remaining stuck at one spot. Comes embedded with Greenworks environmental friendly technology. No more toxic fuel emission! Battery charger unit included with each brand new purchase. Guaranteed to make 100 cuts on a full battery charge. Wrap around handle with rubberized grip for maximum performance. Handguard added for additional safety against collateral wood chunks. Since it is a cordless chainsaw, the battery will run out of juice after 90 – 100 simultaneous cuts. Greenworks CS40L210 does not come with a protective carry case. May take a long time to cut through specific wood types with wet interior. Battery takes 2 – 3 hours to reach full charge capacity. To deal with battery timing issues, you should buy an extra battery pack and always keep it fully charged. You never know when you’ll need it, especially if you forgot to charge the stock battery. You should also know that pushing this Greenworks chainsaw too hard will cause it to stop. At first, I thought that the battery was malfunctioning, but I found that this is more of a prevention mechanism to keep the bar n’ chain from getting damaged. Definitely a nay if you are a professional. However, as long as you are considering small-scale DIY projects, winter tree felling for survival, and normal chores, Greenworks CS40L210 Cordless Chainsaw is the ideal product. For more details, you can head over to the product’s respective Amazon page, or contact GreenWorks directly. If still in doubt which chainsaw to buy make sure to read our best chainsaw review or found out everything there is to know on chainsaws in our tool guide .